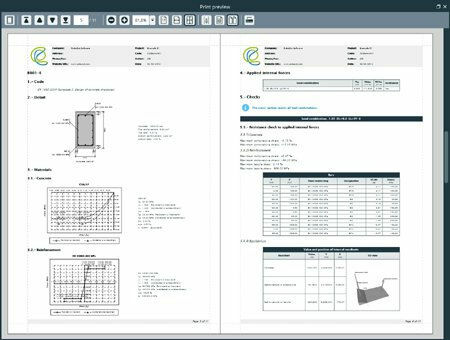 The program useful for checking reinforced concrete section of any shape and with any reinforcement layout in biaxial bending. Calculates collapse stages under different assumptions about axial and bending moments and also calculates the strength interaction volume. Performs very accurate analysis and so many load combinations are processed immediately. 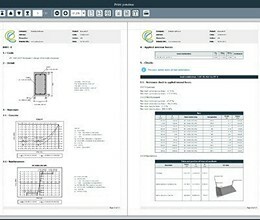 Incorporates materials from each implemented concrete code and allows to user to define his own material data. * C2SBeton download link provides trial version of the software. SHAPE‑MASSIVE determines section properties of any thick-walled cross‑section and calculates the stresses. C2SBeton has been rated 4.3 out of 5 points. A total of 3 votes cast and 0 users reviewed the software.